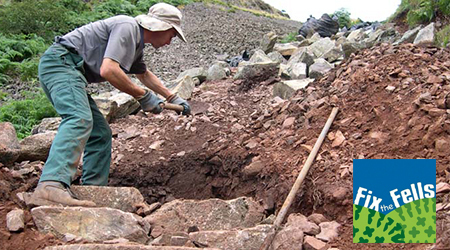 Fix the Fells cares for the Lake District’s fell and mountain paths. It is a partnership between the National Trust, the Lake District National Park Authority, Natural England, Nurture Lakeland and the Friends of the Lake District. 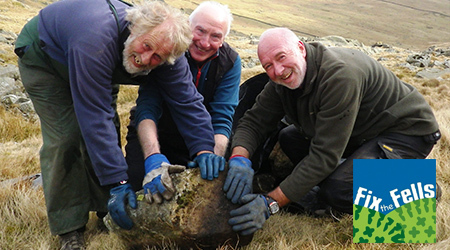 Its rangers and volunteers work tirelessly to protect the spectacular Lakeland fells from erosion by repairing and maintaining more than 250 upland paths. This work protects habitats for rare plant species, improves water quality by reducing sediment run-off, removes ugly erosion scars – and, most importantly, protects the beauty of the Lake District for future generations. The Lake District fells are a paradise for outdoor enthusiasts, attracting millions of visitors annually. But erosion from people - coupled with severe weather events - is causing scars and environmental damage in the fragile mountains. 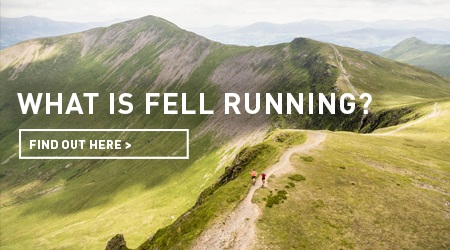 inov-8 was forged in the fells in 2003 and the Lake District remains at the heart of our brand. Every day fell and trail runners of all abilities wear our products to get to grips with the challenging Lake District terrain, so it’s important we give something back to help protect this environment. We are delighted to support the excellent work of Fix the Fells.